Dinosaurs: small brains, big bodies. Extinct. Humans: Large brains, small bodies. Not extinct. Not yet, anyway. Dinosaurs: small brains, big bodies. Extinct. Humans: Large brains, small bodies. Not extinct. Not yet, anyway. Our large brains, however, have created a world bathed in chemicals, engineered foods, plastic environments with poisons that surround us and invade all parts of the natural world — and our own bodies. We are bringing in those poisons through our mouths (food and contaminated liquids), our noses (“fragrances” and polluted air) and our skin (cosmetics, scented shampoos and moisturizers). * Nitrates, chemical fertilizers and herbicides used in industrial farming overflow into our waterways and oceans. * Oil-based chemicals saturate our food, the containers that hold that food, our furniture and carpeting, our cleaning agents, our “lawn care” products, our kids’ toys, our cooking utensils and pans. * Manufacturing, particularly paper making, pours millions of toxics into the air and water yearly. * Unused medicines get dumped into our waterways and reappear in our drinking water. Dinosaurs didn’t have the luxury of observing their demise. We do. We are participating in it with every purchase of plastic-coated junk, every bite of industrially produced “food,” every application of lawn products that poison the ground, the insects and the birds that feed on the insects — and ourselves. No one is forcing us to buy this stuff. I’m not overstating our situation. Read “What’s Gotten into Us? Staying Healthy in a Toxic World,” by McKay Jenkins (2011). Shortly into the book, Jenkins writes about a 2006 study of 13 Maine people and the toxins in their bodies. The study tested for a handful of toxic chemicals: phthalates (softening plasticizers added to baby toys, shower curtains, drinking water bottles); flame retardants (applied to electronic devices, furniture, draperies, carpeting); perfluorinated chemicals (called Teflon, and used to coat cookware and in food packaging for things such as microwave popcorn), and bisphenol A (a hardening plastic additive in baby bottles and the lining of canned food). It also tested for dangerous metals such as lead, mercury and arsenic. All of the participants had lived in relatively rural environments all their lives. Some were high profile, such as Russell Libby, executive director of the Maine Organic Farmers and Gardeners Association (MOFGA), former state Sen. Dana Dow, and Hannah Pingree, then-majority leader of the Maine House of Representatives. Surprisingly, Libby was at the top of the list. Of the 71 chemicals tested for, he had 41 in his body. Despite his rural and organic lifestyle, he had the highest number of flame retardants. Dana Dow, a furniture dealer who applied flame retardants to the furniture he sold, had the highest levels of perfluorinated chemicals (PFCs) and Teflon compounds. And Pingree, of North Haven Island, had high levels of mercury in her body. Another surprise was the results of tests on a mother and daughter, Violet and Laura Lee Raymond. Laura Lee, then 28, was confident she would have a much lower rate of toxins than her mother. She was raised in Fort Kent — about as rural as you can get in Maine. “Laura Lee Raymond had higher levels of toxins than her 51-year-old mother,” Jenkins wrote. “She had high levels of mercury and arsenic.” Arsenic does occur naturally in parts of the groundwater in Maine, and Raymond thought possibly the mercury in her body came from her liking for sushi. She is both puzzled, and angry, about the results, however, since she has always followed a healthy lifestyle. “You kind of go through these phases. You’re in denial, then you get freaked out. Then you go through a hypervigilant phase,” Raymond said. “I got rid of my microwave, got rid of my nonstick pans. I was really hypersensitive about what was going into my body.” And she was surprised by people’s reactions. That’s the key to all of this. We are all toxic, regardless of whether we get tested. Since I was born in 1944, I could probably add toxins such as Strontium-90 from the above-ground nuclear testing that went on until 1962, or the pesticide DDT, which didn’t get banned until the ’70s. 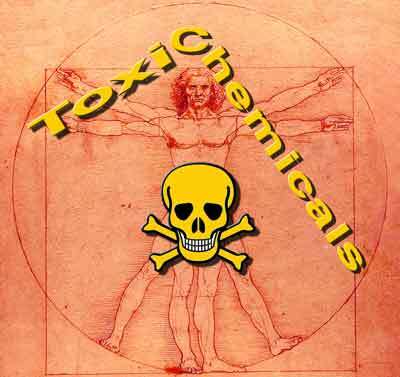 And these toxins that we all have are not going away. Not until we stop producing them, and even then we’re stuck with what we’ve got. Denis Thoet owns and manages Long Meadow Farm in West Gardiner. www.longmeadowfarmmaine.com.